The cousins pored with great excitement over the crumpled, brittle, almost yellow parchment, chanced upon the attic of their grandparent’s ancestral bungalow, where they always came together to spend their summer holidays. “Look, the dotted line starting from the village well, winding its way around a brook near the old house surrounded by coconut groves is surely a clue to a hidden treasure” exclaimed Joshua, the oldest of them all. Beth, the youngest one with bright blue eyes, who had been throwing sharp glances back and forth, from the tiny window of the attic that overlooked the huge front yard to the tiny map presently fenced by curious eyes, drew in her breath as she realized an obvious link missed by her brothers. 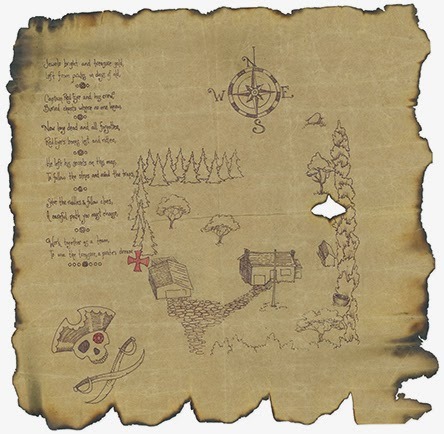 “The treasure could be right beneath us” whispered an excited Beth, elaborating upon her keen observation of the landmarks referred to in the map that strangely coincided with those still present around their grandparents’ home, making it the focal point vis-à-vis the old map. Their grandpa who stood at the doorway, hidden from their view, chuckled to himself at their fertile imagination, inspired clearly by all the Famous Fives and Hardy Boys collection, his standard gift for each of his grandchildren's birthday every year. 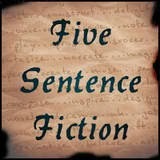 Five sentence fiction written in response to the prompt: MAPS at LillieMcferrinWrites. Ha Ha! Had the grandpa made and implanted the map there so that kids could have fun? Aww, I wish there really had been a treasure, for their sake :D Cute one, Uma! Thats so nice Uma.. Loved the story!